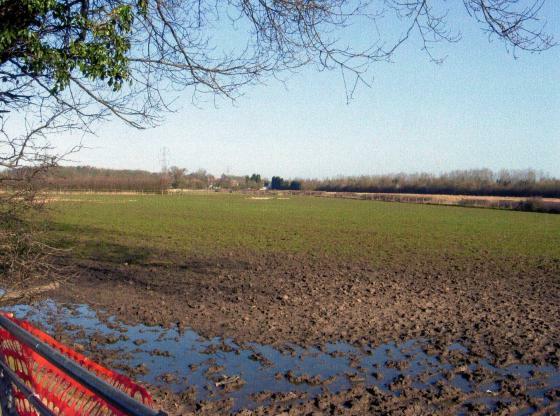 This field is accessed from Gipsy Lane. There is no public access. 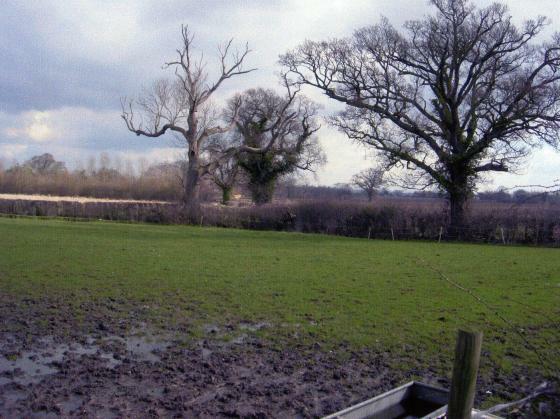 We first visited this field in 2003 to record Ancient Oak Tree 116 which is in the boundary hedgerow with Gipsy Lane. It has a girth of 4.5m and the recording is in Site 149. There are two other recorded trees done in 2007 in the Calico and Woollen Field. Trees 581 and 582 are close to the boundary on West Cross Lane. These tree records were made at the time we were recording the Rothley Ancient Ecclesiastical Boundary (RAPS). 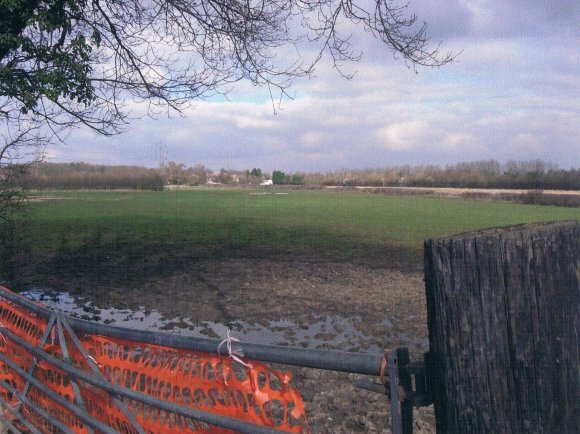 This field is currently used for horse grazing (2009) and is divided off by fences. 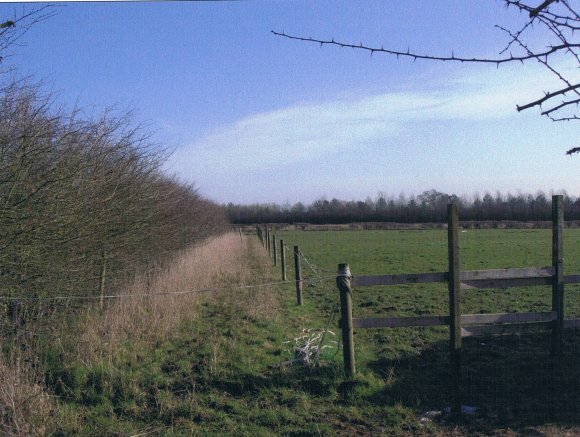 Site 274, Rothley Plain Close, has been extended to form part of the Calico and Woollen Field and enclosed by a modern hawthorn hedge. 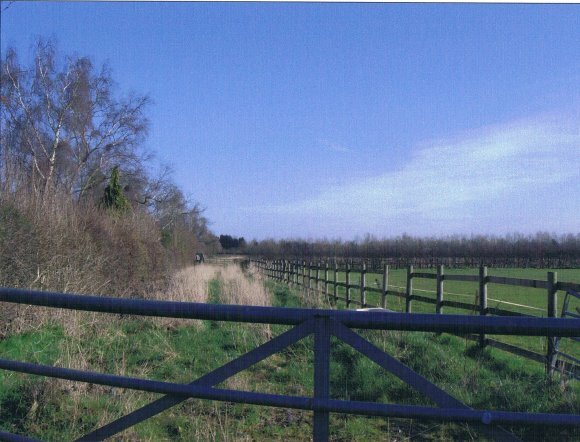 It is not difficult to assess that the loss of part of this field has quite a lot to do with possible building in the future as it extends as far as the houses built in Plain Gate. Location: Garden Boundary of 201 Swithland Lane, extending into fields beyond. Location: From rear of garden of 201 Swithland Lane to West Cross Lane. In this stint there is very little evidence of hedgerow and where there is a remnant of hawthorn and holly they have ancient trunks indicating that they were part of the original boundary hedgerow. 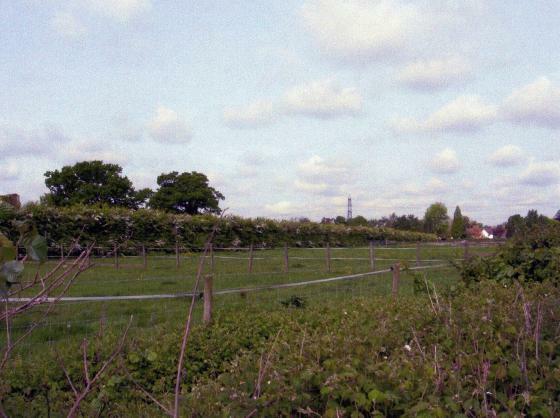 What happened to the hedgerow? At the end of Stint W8 we once again have the species that we found in the excellent Stint W5. Why was it taken out? Was it a long run of elm that died and was removed? There is evidence of this in Stint W5. There is still a very good deep ditch but overflowing with brambles making it difficult to see the ground features. Using Hooper's Rule it gives the 'wrong' age for this stint, as we know that W5 gave a reading of 575 years. 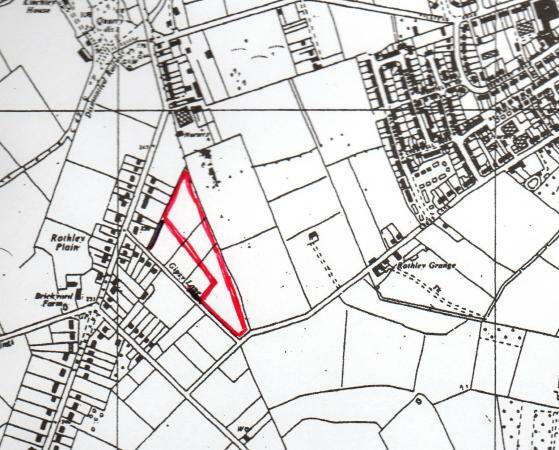 Location: Land to rear of garden of 201 Swithland Lane, Rothley to West Cross Lane. Almost the first 30 metres of this stint are brambles. Just before the start of the second 30 metres the hawthorn and blackthorn start again, the hedge widens and once again we see dogwood, hazel and elm as in Stint W5 to make it very interesting. 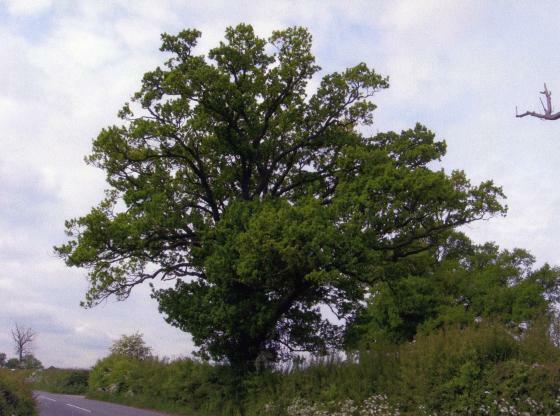 The elm is kept to one metre high and survives as a hedgerow species. This stint still has gaps amounting to 50% but these are mainly in stint A/B and we end the stint with a good piece of wide hedgerow boundary. The deep ditch runs the length of the stint. As we get towards the end of this field it is interesting to note that the hedgerow appears to have been planted in blocks of the same species instead of being a good mixture. As we saw in Stint 8 with a large run of elm here we now still have elm, which suddenly changes to a very long run of blackthorn with small areas of hawthorn. It is good to see Field Rose again. Where the blackthorn starts the hedgerow widens considerably to at least 2.5metres making it a real stock proof boundary. With the vegetation being so lush due to the very hot April weather it is impossible to see any evidence of large tree stumps along the length from the garden to the road but I feel sure that they must be there. In stint W9b we see the start of multi-trunked Ash growing as if from out of an ancient stump and this is in evidence to the end of this stint. 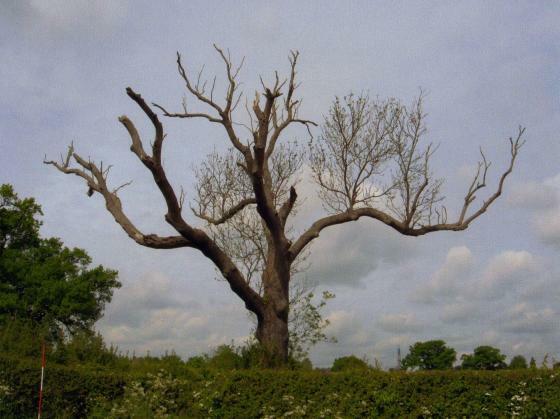 There is an Ancient Ash Tree in Stint W10a, which has large dead branches and not in good condition. 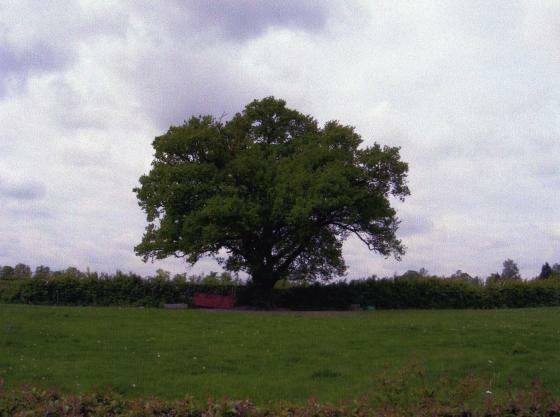 This was perhaps the start of a line of Ash, a classic Rothley Parish Boundary tree. The deep ditch continues to run to the roadside. 2) Over West Cross Lane into field opposite above hedgerow. The first part of the stint is of 20metres as this takes us to the roadside of West Cross Lane. At this point we go over the road, turn right with a slight right-angled kink and into the fields once more. In Stint W10a we have very wide, thick blackthorn, a small amount of hawthorn and field rose. At the end of this part there is an Ancient Ash with many large dead branches, looking very much like many of the Ash trees we have seen as part of the Parish Boundary. From this point there is a mystery! Why does the boundary, after crossing the road, run along the roadside hedgerow for 10metres and then turn at a right angle to continue in a westerly direction as in Stint W10a? This final part of Stint W10b hedgerow does line up with the hedgerow running along Gypsy Lane so why this dog's leg in the ancient boundary? June is not a good time to be 'rapping' but I wanted to have a good look at the hedgerow species to see if they were a continuation of those found in the stints recorded from W5. I was particularly keen to see if dogwood was present but no sign. This is mainly elm with gaps most likely from dead elm. Looking back along Gypsy Lane one side of that hedgerow contained a lot of elm making it look as though this was once a boundary linking up with W10. Galls were found on the elm. A return visit will be made in the autumn when the vegetation has died back.